We look forward to receiving your speculative application via our online portal, alternatively by e-mail. We are constantly on the lookout for new colleagues in many divisions, so it is also worth taking the initiative. If you inform us of your desired areas of activity, we will check your documents together with our specialist departments. Is it possible to be automatically informed about current vacancies? Yes! Simply register here for the job newsletter. Are the published job advertisements up to date, even if they have been advertised for some time? All advertised positions are current and not yet taken. Due to our constant growth, we have a regular need for personnel for some positions, which is why the positions were advertised a while ago. How long before a possible starting date should I apply? We only need a lead time of about 2 weeks. We always try to consider the wishes of the applicants and aim to create a smooth transition for both parties. 2 weeks is the minimum; earlier applications are appreciated. If you have found a suitable position, you can apply via our online portal. Which application documents should I send in? In any case, we need a CV. Letters and certificates are not mandatory, but they will add to the impression. We manage your application documents digitally in an access-protected database. Of course, we adhere to the provisions of the Basic Data Protection Regulation. Your documents will be stored and used by us exclusively for the purpose of your application and will be treated confidentially. Due to legal regulations, we only keep your documents for 6 months after completion of the application process, unless you join our talent pool. In which file format can attachments be sent? I sent my application. What are the next steps? A confirmation of receipt will be sent when the application is received via our online portal. Even if you have applied by e-mail, you will receive a confirmation of receipt. How long do I have to wait for feedback? We promise you feedback within 10 days. How can I update my documents if I have already sent my application? You are welcome to send us missing or updated documents by e-mail. Can I withdraw my application if I have decided otherwise in the meantime? Of course, at any time. We are looking forward to a short feedback on the reason why you changed your mind. What can I expect from a phone interview and why is it necessary? Especially for applicants with a long journey, we are happy to arrange a first meeting by telephone. The advantage: No long journey and faster availability of appointments. You should plan about 45 minutes for this interview. It’s about getting a first taste – we want to get to know your motivation, your strengths and your personality. We will call you at the appointed time. How does a job interview work? At the interview we want to find out if we fit together. One or two people from the department as well as someone from Human Resources will take part. We will tell you exactly who this is in the invitation to the interview. The interview usually lasts about 1 to 1 ½ hour. We attach great importance to a good and pleasant discussion atmosphere in order to get to know you. We do not conduct stress interviews, because this contradicts our culture. It is often possible to get to know some of our employees and the company during a tour of the company. Formal attire is not needed. Please don’t overdress. Nevertheless during the interview we will use the polite form of address. Do I have to bring documents with me to the interview? Basically, we request all the application documents we need before the interview. You do not need to bring any documents with you. If you would like to voluntarily submit further documents afterwards, you are welcome to do so. How quickly do I get feedback after the interview? Together we will agree on an individual feedback period. Usually it is one week and we will get back to you within this period. If you need feedback earlier in the meantime, please feel free to contact us at any time. Do I get my travel costs paid back? We cover the cost of travel for the interview in relation to your place of residence as stated in your application from a distance of 50 km. We will reimburse you a maximum of the expenses for travelling by public transport in 2nd class. 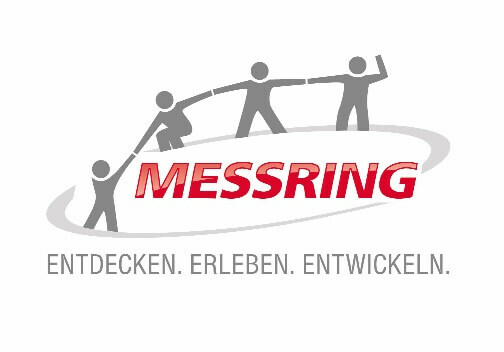 I will become a new employee at MESSRING. What will happen next? We prepare the employment contract after both parties have agreed and send it by post with all important information. What does the first working day look like? The first working day usually begins at 09:00. We at the HR department welcome you and give you a first overview and information. Afterwards, we will guide you to your workplace, where your manager and your mentor will take over further support on the first day. Is there an onboarding program? Yes. It is important to us that you feel comfortable with MESSRING and identify with our values and culture. In addition there is our onboarding program, which includes mentoring.